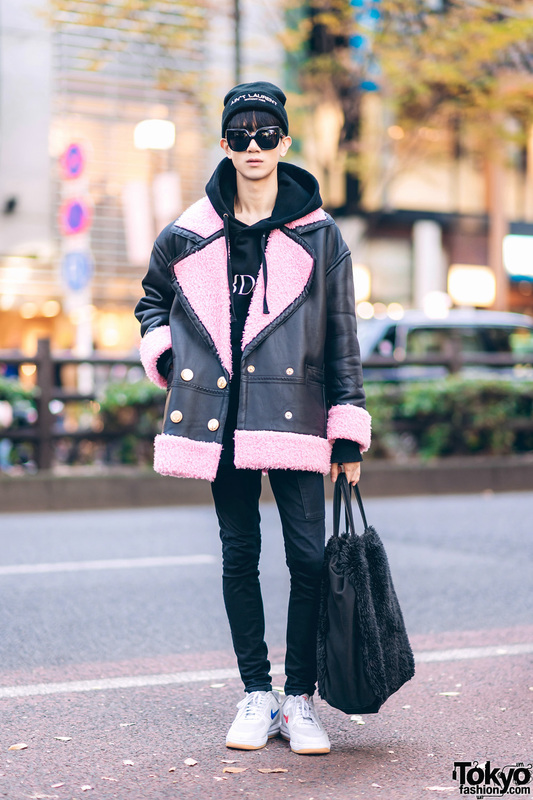 Crimson Skeleton in Harajuku sporting a chic black streetwear style with shearling jacket, hoodie sweater, skinny pants and white sneakers. 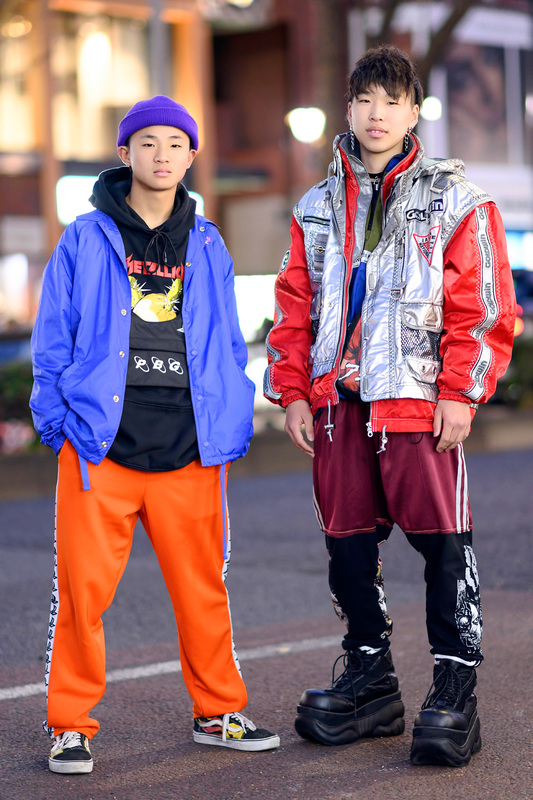 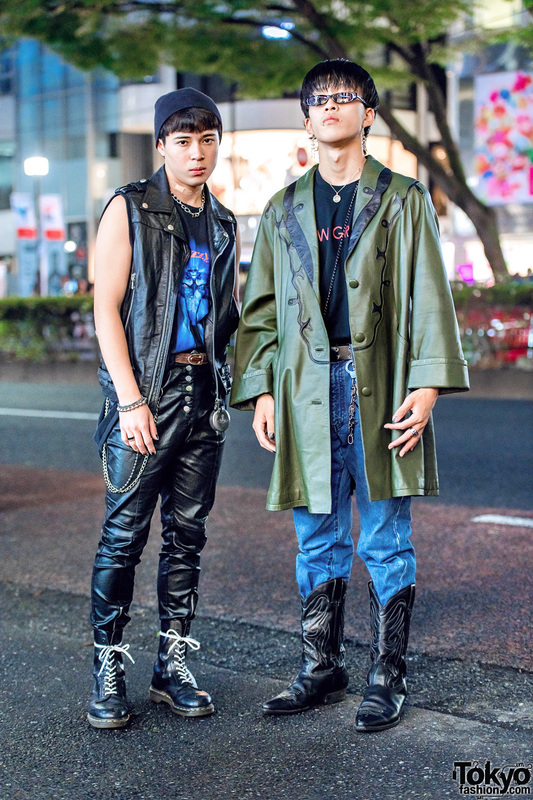 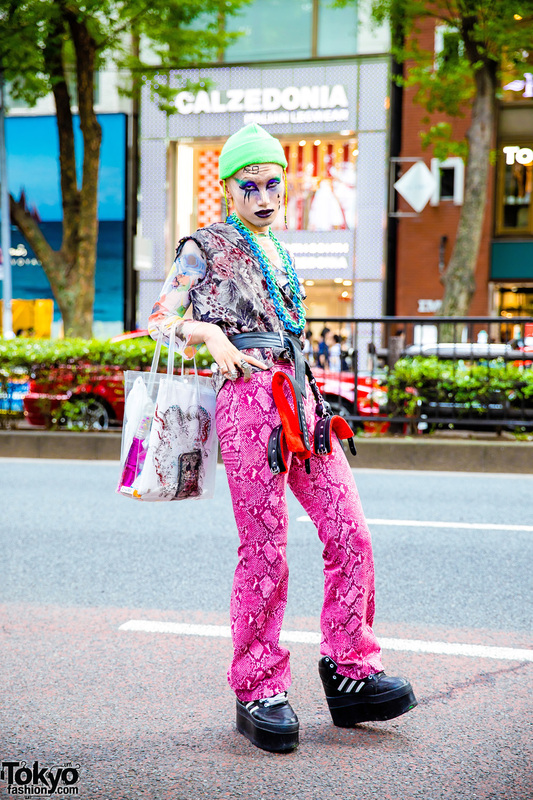 Harajuku guys in edgy vintage streetwear styles. 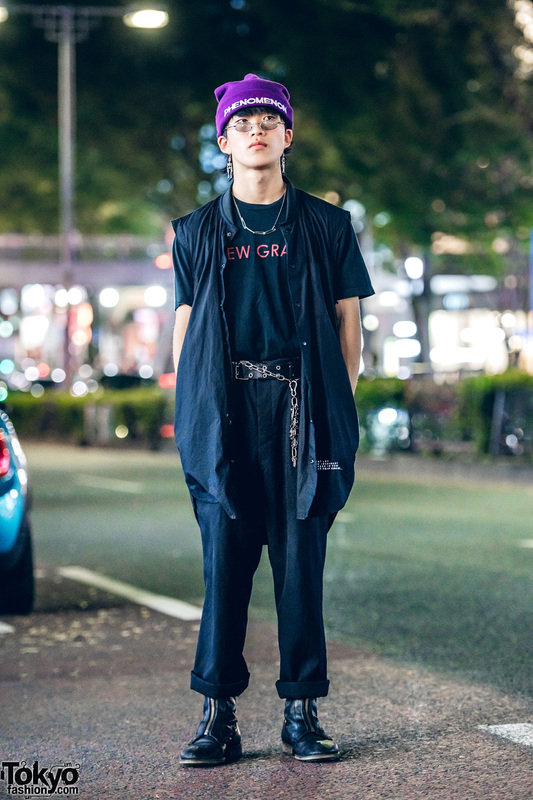 Japanese student wearing geta sandals and vintage and handmade streetwear in Harajuku. 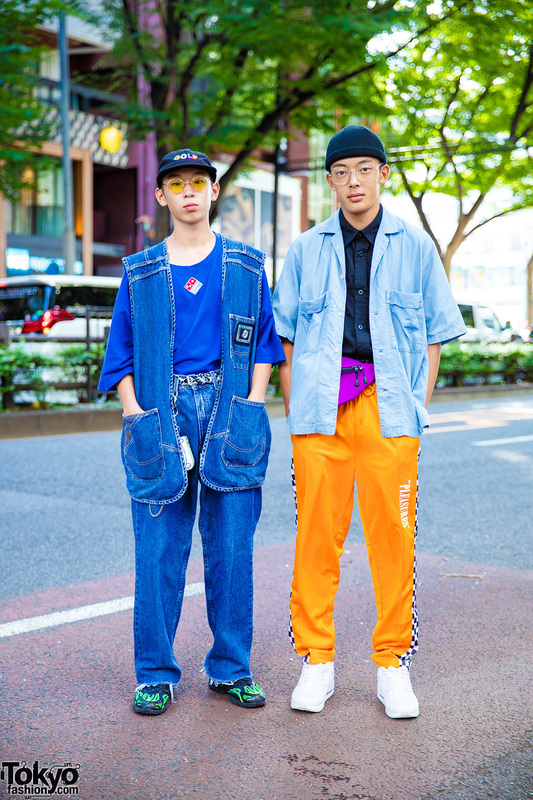 Japanese teens wearing resale street styles with layered shirts, pants, sneakers and accessories.